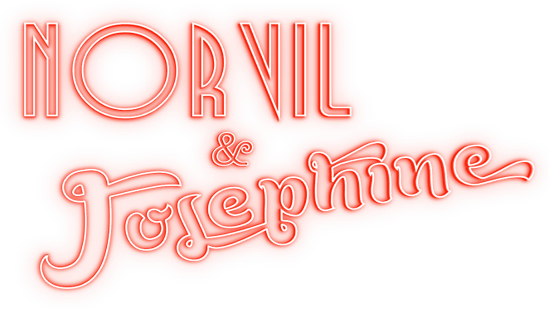 Book burlesque magic show "Norvil & Josephine"! So have you got a burlesque-themed show coming up and need some special acts to add to the lineup? You can't argue: burlesque is big time! You’ve got the Hollywood film "Burlesque" with Christina Aguilera and Cher, or superstars like Dita von Teese and Immodesty Blaize and the list continues ... To fit perfectly with your burlesque themed show or event is the unforgettable magician duo Norvil & Josephine. Check out the video of this burlesque magic show. This show is unique because, apart from incredible and entertaining classic magic, they add a touch of something special to the act with entertaining demonstrations of acrobatics and singing. The scene in the show with most burlesque overtones is complete with a feather fans dance and demonstrations of spectacularly entertaining contortions by 'Josephine' . The act featured as one of the starring line-ups at Yes, Yes, Yes! Club at Scala in London, King's Cross as well as at Salon Rouge (The Junction, Cambridge) and a three-month residency at Electric Carousel’s Rah Rah Room in London. Their award-winning fun-filled act has received critical acclaim and is perfect if you're looking for a magician show to dazzle at your burlesque event. The inimitable duet features Magic Circle magician Christopher Howell with dancer and acrobat Desiree Kongerod. This act draws from a wide repertoire so they’re able to custom craft you a routine that will shine in your venue, and work around how much space you have or technical facilities that are to hand. Norvil & Josephine are burlesque magicians who could appear at your show to present something special that your audience and guests will talk about for years to come.